HAS A NEW GUNS N’ ROSES SONG LEAKED ONLINE? What might be a brand new Guns N’ Roses song has leaked online, and according to MetalSucks, guitarist Ron “Bumblefoot” Thal has actually confirmed that the song is legitimate – although that verification has subsequently been deleted. The song, titled Going Down, features lead vocals from bassist Tommy Stinson, with Axl Rose on backing duties. Listen to it below. 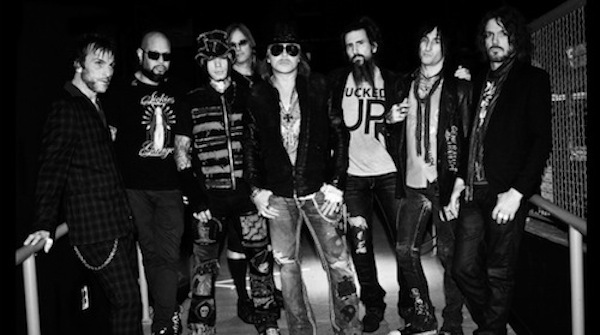 Guns N’ Roses has not released any new music since 2008′s Chinese Democracy. Bands wait out cause they get a percentage of the bar/concessions except in places mobbed up or opening acts blowing headliners off the map.